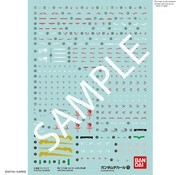 This is a GUNDAM DECAL No.112 RG 1/144 UNICORN GUNDAM "Gundam Unicorn" Bandai Decals by Bandai Hobby. Water slide decals for customizing GunPla! 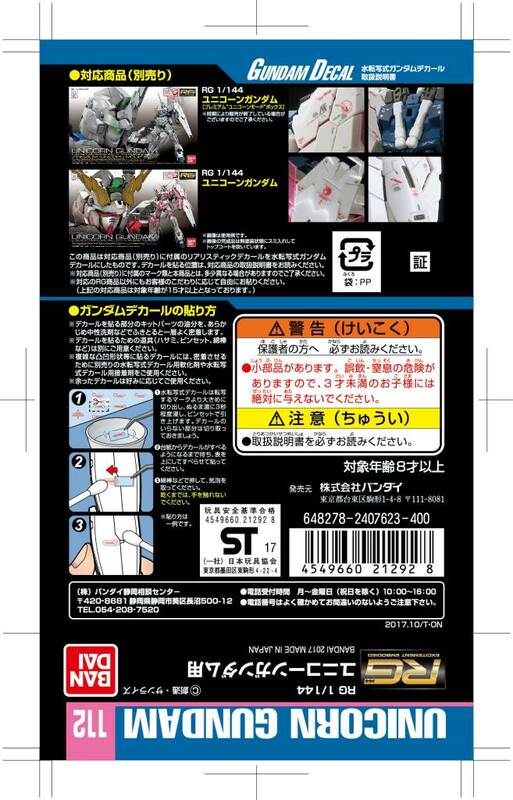 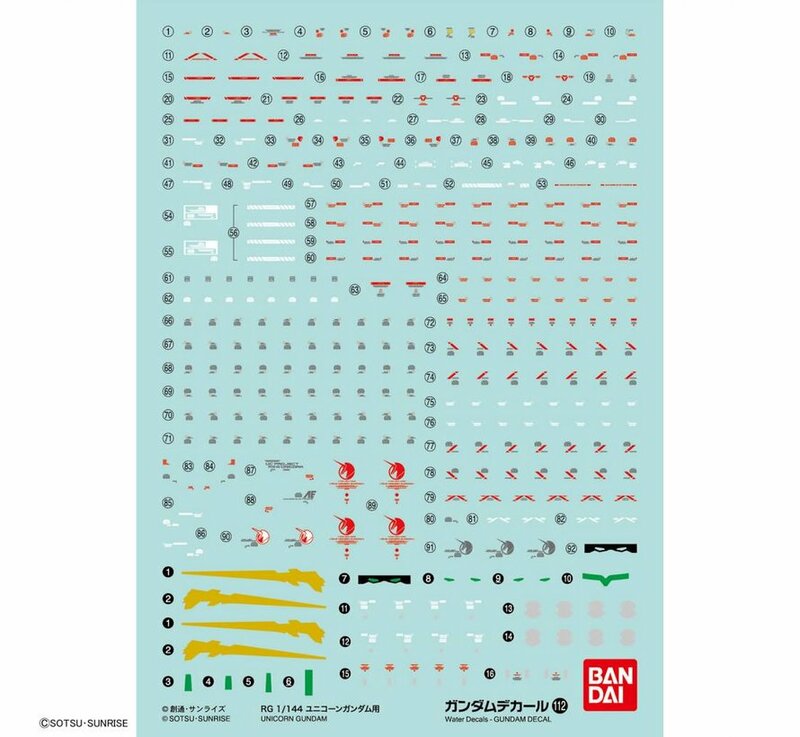 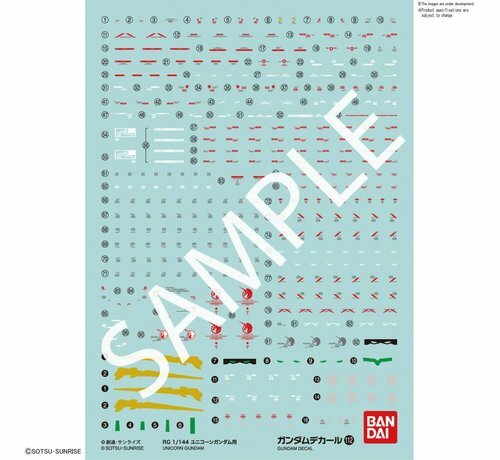 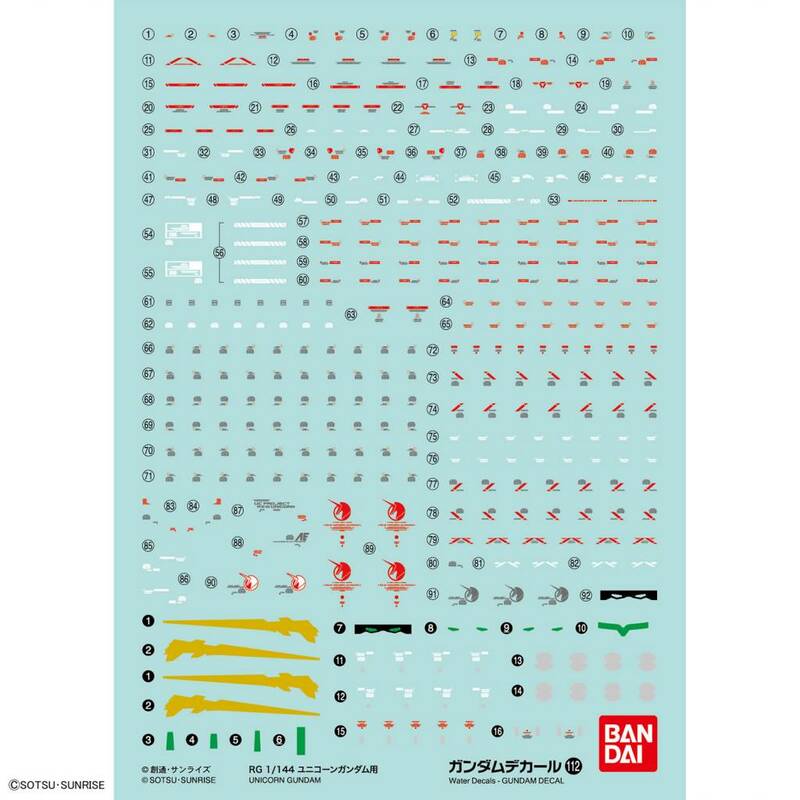 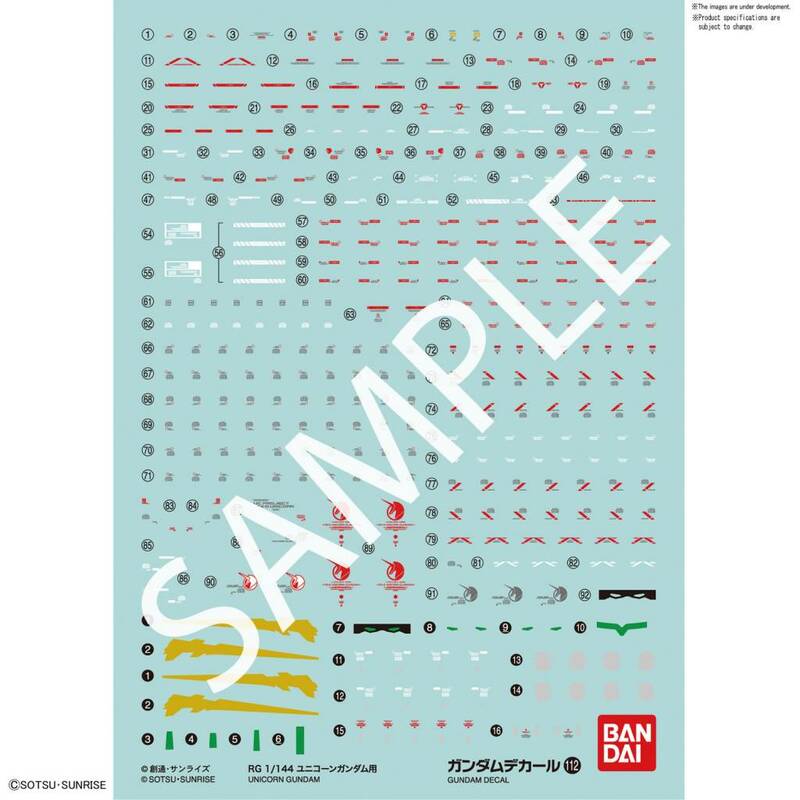 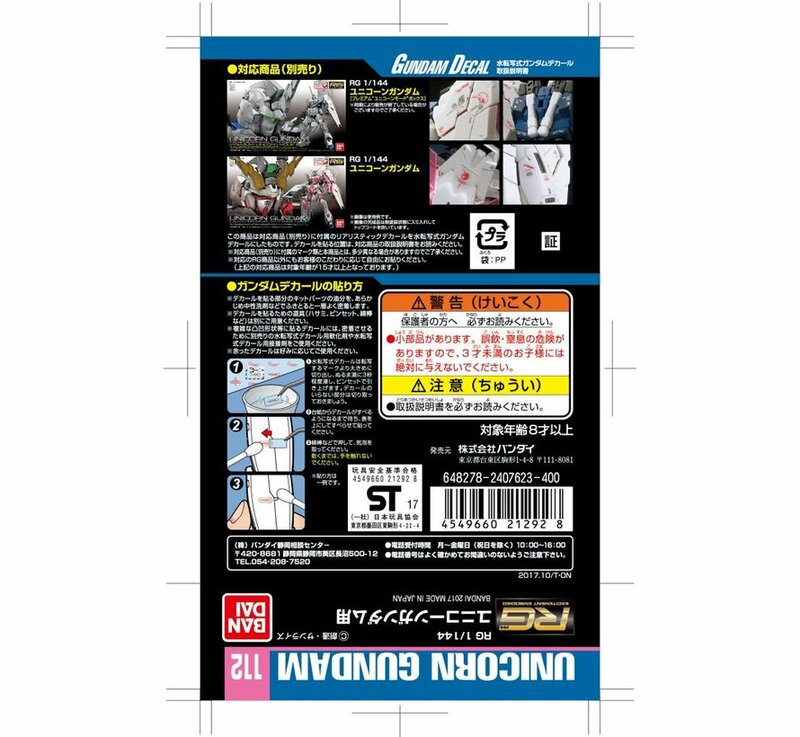 Vol 112-This is a decal set for use with the BAN216742/BAN220714 RG Unicorn Gundam.